Get The Burger is the culmination of the dreams of Eric & Lynn Schwartz that started in 1995 in their backyard. This restaurant means the Big Bear Valley can now get their famous burgers (in Big Bear) anytime, not just at local Chamber of Commerce functions & fundraisers. 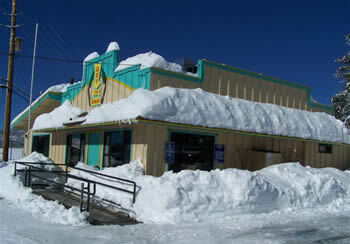 After their opening run in Big Bear City, Get The Burger was able to re-open in Big Bear Lake. When you eat your first burger you'll know what all the talk is about. Only the freshest ingredients make up our burgers. 100% pure beef, garden fresh vegetables and starring grilled onions. Our burgers are made right when you order. 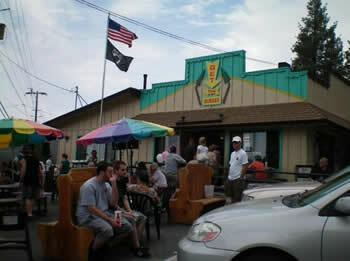 We at Get The Burger hope you enjoy our food and thanks for coming. Hope to see you again soon. July 24, 2009 was a great hit. THANK YOU BIG BEAR! WHAT A DAY!